Habits of the Heart for Healthy Congregations is an annual retreat for clergy and faith leaders who seek renewed sense of purpose, courage to lead from within, and practices for better belonging. 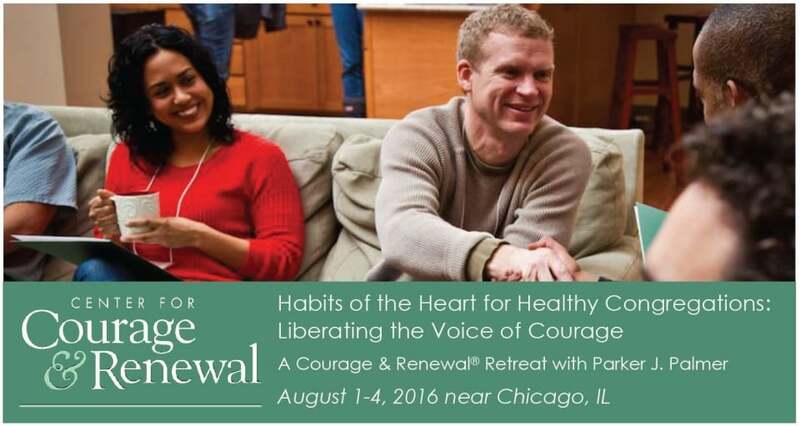 Our focus for the 2016 retreat is on the habit of developing a sense of voice and agency. At this retreat you will learn new skills for fostering leadership – both within yourselves and among others – for the sake of revitalizing faith communities locally and globally. Join like-minded peers and discover ways to renew your spirit and the spirit of your community of faith. Teams are encouraged to attend together to be able to apply shared learnings in your local contexts. This retreat welcomes people from all religious traditions and walks of life, although most participants are clergy and congregational leaders from the Christian faith. 1 – An understanding that we are all in this together. 3 – An ability to hold tension in life-giving ways. 4 – A sense of personal voice and agency. 5 – A capacity to create community. WHEN: Monday, August 1 to Thursday, August 4, 2016. Retreat begins at 3 PM Monday and concludes at 12 PM Thursday with lunch. WHERE: Techny Towers and Retreat Center is located a short 25 minute drive from Chicago’s O’Hare Airport, at 2001 Waukegan Rd, Techny, Illinois 60062. PROGRAM FEES: Combine tuition and lodging & meals rates below. *If registered at the early bird rate and the entire amount due is not paid in full by May 1, the tuition increases to the regular rate. $550 Regular Rate Tuition after May 1st. All rates are based on actual venue costs. CONSIDER: Most participants prefer a single room for rest and renewal. Before registering for a double, consider whether your sleeping habits would be easily compatible with a roommate. TRAVEL: You will be responsible for travel to and from the event. Many participants prefer to arrive a day early and/or stay a day after to give themselves a deeper experience of rest and renewal. Please contact the venue directly at 847-272-1100 to inquire about booking additional nights of accommodation onsite.